A five-year-old boy living in a rural part of India is separated from his older brother and finds himself in Calcutta, thousands of miles from home, lost and alone. Little Saroo (Sunny Pawar) lives in a rural town in Khandwa, India, with his mother, Kamla (Priyanka Bose) his older brother, Guddu (Abhishek Bharate) and his little sister, Shekela (Khushi Solanki). They are a poor family so to help their mother, who labors carrying rocks, Guddu and Saroo jump on coal trains and steal the coal to sell. It's a hard life, but the family is getting by and they are happy. The mother is loving and Guddu looks after little Saroo. Saroo wants to be like his big brother, so when Guddu goes off to get some night work in another town, Saroo begs to go along. They take the train and when they arrive, Saroo is asleep and doesn't want to wake up. Guddu tells Saroo to sleep on the bench in the train station and to stay there until he gets back. When Saroo eventually wakes up, he is all alone at the train station and no Guddu in sight, so he starts to look for him. He gets on an empty train, and before he knows it, the train starts up and off it goes with Saroo in it. All of the doors are locked and the train doesn't stop until it arrives in Calcutta, over 1000 miles away from his home. Saroo is finally able to get off and tries to find help, but he doesn't speak Bengali. He only speaks Hindi so he is not able to communicate with anyone. He lives on the streets for months, encountering some not very nice people, until he is befriended by a young man who speaks Hindi and who takes him to the police station. Saroo tries to tell them where he is from, but no one has heard of it. "What's your mother's name?" "Mum." (Right there everyone, be sure your children know your full name). Saroo ends up in an abusive orphanage but is eventually adopted by John and Sue Brierley (David Wenham and Nicole Kidman), a couple living in Australia, well, Hobart, Tasmania, actually. So that's the first half of the film, which is harrowing and thrilling, but if you are expecting to see Dev Patel, it doesn't happen until the second half, which is 25 years later (2012) and Saroo is all grown up and totally acclimated to life in Australia. He is a typical Australian and seemingly uninterested in his heritage, until he takes a hotel administration course in Melbourne and attends a party with some other Indians. There he encounters an Indian confection and memories start flooding back. He remembers the last time he was with his brother and this confection was one that his brother and he were going to buy when they had some money. The last half of the film is all about Saroo having more and more flashes of memory and trying to find a needle in a haystack. He doesn't know the name of the town where he was from, and he doesn't know his mother's name. He only remembers that the train station where his brother left him had a water tower. But he starts a search using Google Earth (this movie is a huge advertisement for Google Earth), trying to determine how far he might have traveled on that train. He is haunted by the fact that his mother and brother must wonder and worry about what happened to him, so he becomes consumed with finding them, so much so that by the end, Saroo is a wreck, his hair is practically standing on end and his girlfriend (Rooney Mara, whose presence is actually not a necessary part of the movie) leaves him. The second half of the film is less thrilling than the first, and even bogs the film down a bit, but the ending makes up for that. Directed by Garth Davis, this is a true story based on the book, "A Long Way Home" by Saroo Brierley and adapted for the screen by Luke Davies. I kept wondering where the title came from, but all is explained at the very end of the film in what has become a common ending for movies based on true stories: A postscript appears on the screen and we get to see the real people and find out what happened to them. And get your hankies out, because if you aren't crying already before the credits roll, you will definitely shed some tears when you find out what happened. Someone jokingly said this is a live action version of "Finding Dory." It kind of is, but I cried in "Finding Dory" too! I like Dev Patel, and remember his fine work in "Slumdog Millionaire," but here I felt at times that his performance was bit forced and overly dramatic. Nicole Kidman was very believable as Sue Brierley, a woman who adopted two supposed orphaned Indian boys because she wanted to do good. She loved them both dearly, though one son, Mantosh, was very disturbed. But she wears the most goddawful wigs. I know it was the 80's and she was trying to look like the real Sue Brierley, but sheesh. However, the shining star is little Sunny. You know how I feel about most child actors in films, but this kid is not your usual over-precocious smart aleck kid, but rather a young boy whose quiet face and huge eyes tell the story. Rosy the Reviewer says...a harrowing but inspirational and heartwarming story that is a testament to the need to know where one has come from. 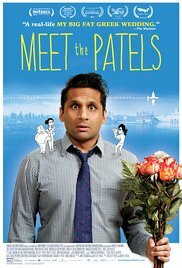 Actor-comic Ravi Patel decides that now that he is 30, he needs to get married, so agrees to allow his parents and extended family to find him a wife in the traditional Indian way. What are the odds that I would review two movies in one week that both have the name Patel playing a prominent role? 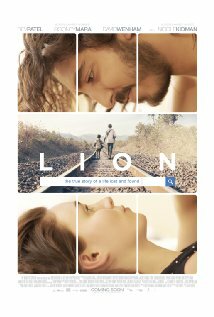 It is a total coincidence that I am reviewing a movie about a family of Patels and "Lion," starring Dev Patel (see above). But as Ravi Patel explains in this film, his name in India is the equivalent of the name John Smith in the United States. So I guess it was bound to happen. Ravi's family thinks that, not only is he not married, but that he has never even had a girlfriend, and in the Indian culture, if you are not married by the age of 30, that is something to be worried about. But Ravi has had a girlfriend, albeit his first and only, but because Ravi's girlfriend, Audrey, was a redhead from Connecticut, he was afraid to introduce her to his family. Ravi was unable to commit to Audrey and has broken up with her and thinks...what the hell? I haven't found the right girl to marry yet, why not try matchmaking? My parents have an arranged marriage and they are happy, so? Needless to say, his parents are thrilled because they want their son to be married. The family goes on an annual trip to India which is filmed by Ravi's sister and co-director and gives the filmmakers an opportunity to add a backstory, share their culture, their father's immigration to the U.S. and his arranged marriage to their mother. When they all return to the U.S. the film becomes all about Ravi and finding him a wife. We get to see the world of Indian matchmaking with the "bio-data" that gets sent to the families involved in matchmaking (everyone who is looking for a spouse puts out their "biodata," a sort of marital resume). The search for a wife does not just include marrying an Indian girl but the girl needs to be a Patel from a particular part of India (Gujarat) and she must be well educated, her family must fit the criteria and she must be recommended by someone the family knows and respects. Ravi travels the country meeting prospective wives and going on dates and there is humor derived from these encounters. But Ravi and his family and extended family comprise the heart of the film. They are all amusing and engaging people. Co-directed by Ravi and his sister, Geeta, the film uses some humorous animation to propel the story and the wobbly, hand-held camera gives the film a home movie feel. Ravi eventually realizes he doesn't need to marry an Indian girl and his parents realize that too. They just want him to get married. I think you will figure out how this will all end well before it does, but it is still a fun ride. Rosy the Reviewer says...a fascinating and humorous look inside the world of Indian matchmaking, and if you like "Married at First Sight" or "Married by Mom and Dad," you will especially enjoy this. (In Gujarati and English with English subtitles). Some of the most nefarious imprisoned villains in the world are offered clemency if they will help save the world from the Apocalypse. Floyd Lawton AKA Deadshot (Will Smith) is a skilled hit man. His thing is that he never misses. However, his weakness is his 11-year-old daughter. Harley Quinn (Margot Robbie) was a psychiatrist and The Joker (Jered Leto), yes, that Joker, Batman's arch-enemy, was her patient until she fell in love with him. He manipulated her to the point of madness and the two became the King and Queen of Gotham. She is a nutter of the highest order. Her thing is that she is so crazy she is fearless. George "Digger" Harkness AKA Captain Boomerang (Jai Courtney) throws boomerangs. His thing is that those darn boomerangs can cause considerable damage. El Diablo's (Jay Hernandez) thing is that he can make fire with his hands and blow things up, but the problem is that he afraid of his own ability and doesn't want to use it. Doctor June Moone (Cara Delevingne) was a buttoned-up woman until she became inhabited by a witch - The Enchantress. Her thing is that she plans to destroy the world. The first 20 minutes of this movie is all set up for the characters, which I have to warn you right now, is the best part. When we meet Amanda Waller (Viola Davis), from a secret agency attached to Homeland Security, and her second-in-command, Col. Rick Flag (Joel Kinnaman), a sort-of good guy who just happens to be in love with June Moone (a conflict of interest, perhaps? ), we find out that she wants to form a team of villainous meta-humans to keep the United States safe. Waller has the Enchantress's heart and can control her as long as she has it, but, of course, the Enchantress gets her heart back and wreaks havoc on the world. So our villains must not only save the world from the Enchantress, but they need to save Dr. Moone who is trapped inside her. But I know, I know. The point of this is not to make sense. It's to enjoy the craziness, violence, characters and the comedy aspects. Written and directed by David Ayer (whose publicity photo on IMDB looks like he could be a member of the "Squad" himself), I feel kind of funny reviewing this film since I am decidedly NOT the demographic this was aimed at. In fact, I read recently that most movie-goers are 18-24-year-old men, so most movies are not aimed at my demographic. I think I mentioned in my review of "Deadpool" what happened to me when I bought a ticket for that film. I said, "One senior for 'Deadpool,' please" and the young man behind the ticket counter said, "I sure haven't heard that before." So you see, that movie and this one were not meant for the likes of me, but here I am anyway. 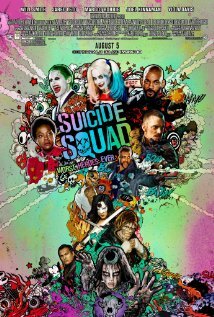 Highlights of the film were Jared Leto, unrecognizable as The Joker and, as usual, embracing his character fully as in totally over-the-top nutty, Viola as a badass and Margot as a psycho. Will Smith just looked confused, like he was wondering what he was doing there. Rosy the Reviewer says...and since I am not the demographic that this movie was aimed at, that's about all I have to say about it. I will leave the rest to those 18-24-year-olds that made this movie a big box office hit. (apparently everyone has but ME)! During the Vietnam War, Captain Willard (Martin Sheen) is sent to Cambodia to assassinate a rogue army colonel who has set up camp among the locals. OK, OK, I know. 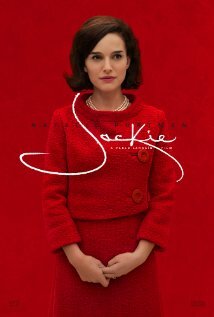 How is it possible for a movie lover like myself to have NOT seen this film? Well, to be honest, I don't like war movies, excessive gore or movies without women in them, so I guess I wasn't interested at the time. However, I certainly knew about the Robert Duvall quote "I love the smell of napalm in the morning. It smells like victory," "The Flight of the Valkyries" music playing while American helicopters flew over a Vietnamese village and soldiers wiped everyone out from above, and what director Francis Ford Coppola went through to make the film, so I am glad I have finally seen the whole movie. It was quite an experience, and now I know what all of the fuss was about, though I will say that the first half of the film far outweighed Brando and how it all ended. Captain Willard is a special ops guy who has his own issues. When we first see him he is on R & R, running around his hotel room in his skivvies acting like a psycho, but that's what a war can do to you. He is ordered back to camp where he is given a mission: to make his way to Cambodia to find Colonel Kurtz (Marlon Brando) and to "terminate his command. To us civvies, that is soldier-speak to basically assassinate him. It seems that Kurtz has gone mad, set himself up in a native village as a sort of god and has his own little army in place. Has Kurtz gone mad? Or has he come to his senses about the horrors of war? That is the question as the film becomes an allegory for the insanity of war. Willard takes a swift boat to get to his destination and is joined by the usual motley crew of guys we see in most war movies - Chief Phillips (Albert Hall), the boat pilot, Lance (Sam Bottoms), a surfer who suns himself on the boat's deck when he isn't wielding his weapon; Tyrone "Mr. Clean" Miller (Laurence Fishburne), who likes the occasional toke of pot; and "Chef" Hicks (Frederic Forrest). But the quirky assortment of soldiers is the only thing this movie has in common with a typical war movie. Coppola used music and imagery (cinematography by the famed Vittorio Starraro) to create a surreal world that must have been what that war felt like to callow 18-year-olds who were drafted and sent there to fight a war they didn't understand. The film opens with The Doors' "This is the End," a fitting opening considering the hell that was Vietnam. "The Greatest Generation" had WWII, a war they could be proud of, if one can be proud of a war. Us Baby Boomers had Vietnam, a horrible hell-hole of a war that was unwinnable, and this movie captures that ethos in all of its horror and outrageousness. Colonel Kurtz says, "The horror. The horror." That about sums it up. 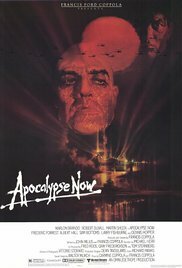 That war seemed to be heralding the Apocalypse, and Coppola shows the war as a chaotic free-for-all ,where no one really knew what was going on or who the enemy was. Hell probably is just like that. An incredibly memorable scene among many is Tyrone listening to a tape from his mother when he is shot by the enemy offshore. As he lay bloody and dying on the boat, the tape continues with his mother telling him to take care and come home safely. This film was a star-maker - you will recognize a very young Harrison Ford in the early scenes; Martin Sheen and Sam Bottoms had been mostly toiling in TV movies until this film; this was only Laurence Fishburne's third feature film, and this movie certainly helped the careers of Frederic Forrest and Robert Duvall, both of whom have had long careers since. If you have an eagle eye, you will spot Bill Graham as the guy running the USO show, and Coppola himself appears briefly as a filmmaker documenting the war. So the film boosted many careers, but making the film was not without its problems and took a toll on its participants. Brando had begun his descent into letting himself go and arrived on the set overweight and unprepared. Martin Sheen, only 36, had a heart attack while filming. Sets were destroyed by weather and what was to be a sixteen week shoot turned into 238 days. In post-production, Coppola struggled to edit thousands of feet of footage, thus postponing release of the film. The film was a combination of Conrad's novel "Heart of Darkness" and Homer's "Odyssey," which after all of the problems, Coppola dubbed it "The Idiocy." Though Brando and Duvall got top billing, Duvall only had a small (but memorable) part and Brando was only on screen for about 30 minutes of this two hour and 30 minute movie, this is Sheen's movie. He was mesmerizing. I was shocked at how young he looked, but then I am shocked that it's been 38 years since it was 1979, when this film was released and I was only 31. I was also struck by how much Sheen looked like his son Emilio Estevez. The film was nominated for eight Academy Awards and won five: Best Picture, Best Director, Best Cinematography, Best Sound and a Best Supporting Actor Oscar for Duvall. Why it's a Must See: "Flawed but staggering cinema, the set pieces are unforgettable...[and] Coppola surrenders to an unnervingly ambiguous-end. The ultimate horror of this hypnotic trip, though, is how closely it has been said to capture the reality of Nam." Rosy the Reviewer says...an unforgettable experience in more ways than one. Robert Wagner salutes the actresses of The Golden Age of Hollywood. Yes, THAT Robert Wagner. The handsome leading man who was married to Natalie Wood and had huge success on TV channeling Cary Grant on "Hart to Hart." Several readers have asked why I don't review more novels and why I tend to lean so much toward biographies and nonfiction. I know that I am heavy on the nonfiction side, but when I think about it, I realize that it's only natural that I would gravitate toward biographies of actors. I mean, I love movies and TV, I have all of my life, and I spend a great deal of time reviewing them so it's only natural I would gravitate toward that subject matter. But I promise, more novels! Wagner has been an actor for almost 70 years and since he started in 1949, he has seen it all and knew just about everyone. And it says something about the guy that he not only has great admiration for the women in this book (he only says some not so nice things about a couple), but that he had so many friends and good relationships with his fellow actors and other industry types. You can tell that would be the case from this book, because he comes off as a thoughtful man who has no problem being self-deprecatory and giving props to those who helped him in the business. 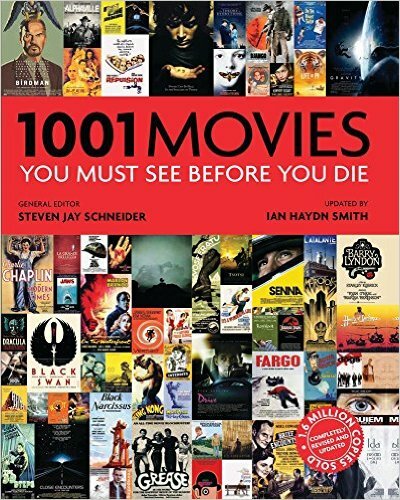 This book is a decade-by-decade compilation of anecdotes about the women who were the big Hollywood stars of the 30's through the 80's. You will enjoy his stories, some I have never heard before (and I read a LOT of celebrity bios). But he also has insight into the movie business, so this is not just page after page of juicy gossip about the stars of yesteryear, but rather a thoughtful and insightful look inside the movie business and the making of movies. "...the movie industry has always been resistant to any form of change...It's a mark of how psychologically conservative the movie business is that no major technological change has ever been developed in-house at a movie studio. Not one. Warners rented Western Electric's sound system; the Technicolor Corporation developed its own process and rented it out to the studios; Fox bought CinemaScope from a French inventor. And so forth. It's always the same: A tidal wave of change that begins outside the studio walls ultimately can't be resisted, and the studios finally capitulate. And the tragic thing is the studios could have owned all of it. They could have owned sound instead of renting it; they could have owned color instead of renting it; they could have owned NBC and CBS instead of gradually becoming subservient to them. And 20th Century Fox could have built and owned Century City instead of selling off so much prime real estate to raise money for "Cleopatra." He also not only loves women, he respects them and recognizes how difficult it is for women in the movie business when an actress's career is almost over at 40. 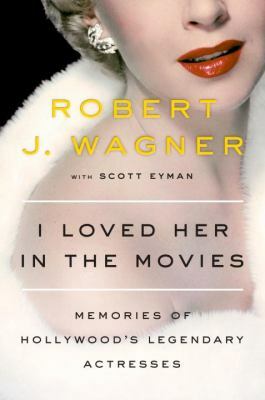 If you are a movie lover, especially of movies from the Golden Age of Hollywood, you will enjoy his anecdotes about Bette Davis, Marilyn Monroe, Barbara Stanwyk and Joan Crawford, and of course Wagner was married to Natalie Wood - all names you no doubt recognize. But what about Ann Rutherford, Debra Paget, Jean Simmons, Kay Francis, Jean Arthur and Ina Claire? I humbly brag that I knew every actress he talked about thanks to my Dad and his love of old movies. I spent many a night staying up late watching the midnight movies with him on TV. It was particularly poignant to read what Wagner had to say about Debbie Reynolds in light of her recent death. This book was obviously written before she died, but I am so glad to see her included. It has been annoying to me to hear young people on the radio wondering why Debbie Reynolds' death was such a big deal. They thought the only thing she had ever done was "Singing in the Rain," and few had even seen it - one of the great musicals of all time. They didn't know that Debbie Reynolds was a big movie star. But Wagner does her proud. "Debbie could sing, and Debbie could dance, and Debbie could also act...I respect her talent, but what I particularly adore about Debbie is her gallantry. Like everybody else, she can get depressed, but she never lets the audience see her that way. When the light hits her, she's ON, and the audience is going to have a great time...She wants to make people happy, which is why she's one of the great show-business professionals." So if you are a movie lover, here is your chance to test your knowledge of the great actresses and, if need be, to bone up a bit. (Extra points if you can identify the actress on the above cover of the book). Rosy the Reviewer says...I am always lamenting that the great stars of the old movies have been forgotten by the younger generation, so you know that I enjoyed every juicy morsel of this book. They are all here waiting to be remembered. Thank you, Robert!